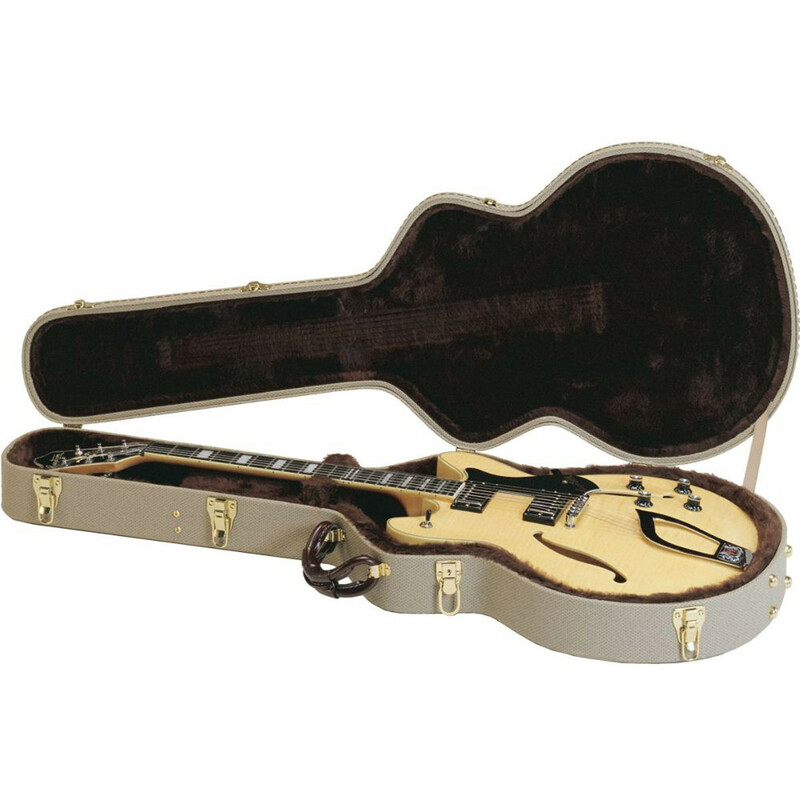 Hagstrom C-57 hardshell Hag Cases are manufactured using high grade Plywood featuring heavy duty gold plated latches. Complete with ergonomic soft handle and deep plush lining inside to prevent internal movement. The exterior of the case is made of durable Tolex in a vintage tan tone. 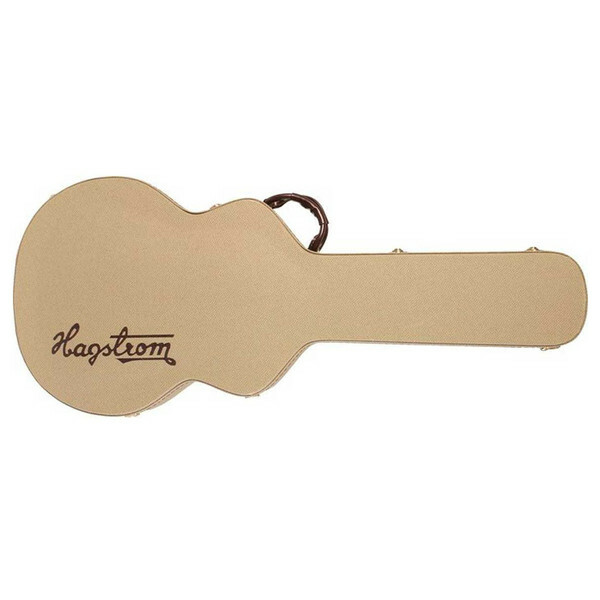 Seams are enforced with heavy brown stitching featuring tasteful leatherette stitched sides and completed with the Hagstrom logo on the top.